Personal success but failure for mobile technology! 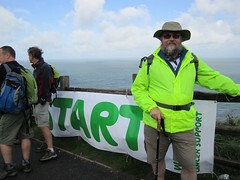 09.22: Rhossilli, at the start of the walk, I filed my second report filed on AudioBoo.fm. There was no reception for quite a while! 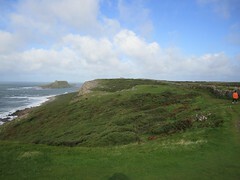 The first stage of the walk, the coastal path between Rhossilli and Port Eynon is a distance of seven miles. There where a couple of ascents and descents that were made quite treacherous by the heavy rain that fell on the Thursday and Friday before the walk. Indeed, coast guards were in attendance on someone, possibly one of the Gower Macmillan walkers, who had come a cropper on the first muddy descent near Mewslade Bay. There was even a helicopter! No photographs, because we thought we had to be at Oxwich by 1.00 and so weren’t dawdling! 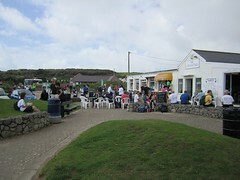 We arrived at Port Eynon at around 12.00. A cup of tea was very welcome. I tried to tweet a status report, but there was no signal. 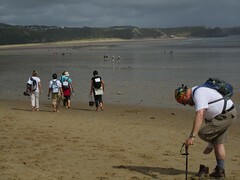 We arrived in Oxwich at around 13.25. 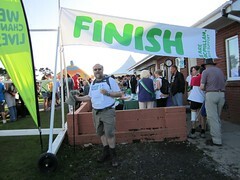 We’d walked about ten miles from the start in around 4 hours five minutes. This made our pace around 2.5 miles a hour, which isn’t bad for the terrain. 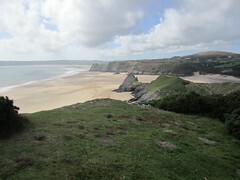 There was time to take on water before the next stretch which was to head out across Oxwich Bay to pass Old Tor into three Cliffs Bay at low tide. 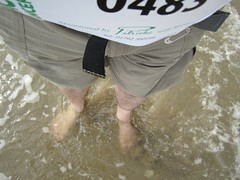 It was a welcome opportunity to take off my boots! From Three Cliffs there’s a steep climb on sand dunes up to the cliffs above Pobbles Beach and it was about 15.00 when I had a chance to take this photo looking back over Three Cliffs bay, probably the most photographed spot in Gower. Southgate wasn’t far from here and we stopped for a coffee at around 15.30. Stage 5: Southgate to Caswell, 4 miles. On leaving Southgate, the Macmarathon walker has 14.5 miles behind and only 7.5 in front. 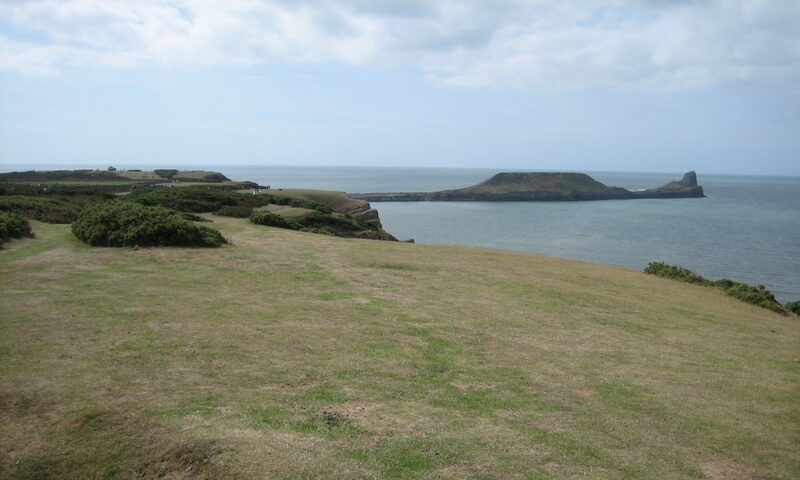 It’s well over half way but there are still a few challenges on this picturesque stretch of the South Gower. The path descends through wood toward Pwlldu and crosses a bridge at Brandy Cove before rising again to meet the main road into Caswell. After a cup of tea at Caswell, we knew it was nearly over! 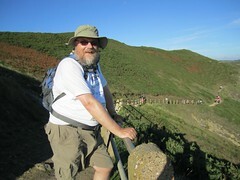 We hiked over the coastal path out of Caswell, pausing for this photograph at 17.20. 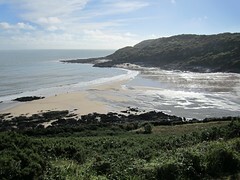 We entered Langland at about 17.35 and arrived at Mumbles Cricket club at around 18.05. Some 8 hours 45 minutes after the start. Tired, but not exhausted! I wanted this trip to be a chance to try Twitter location feature and AudioBoo.fm. 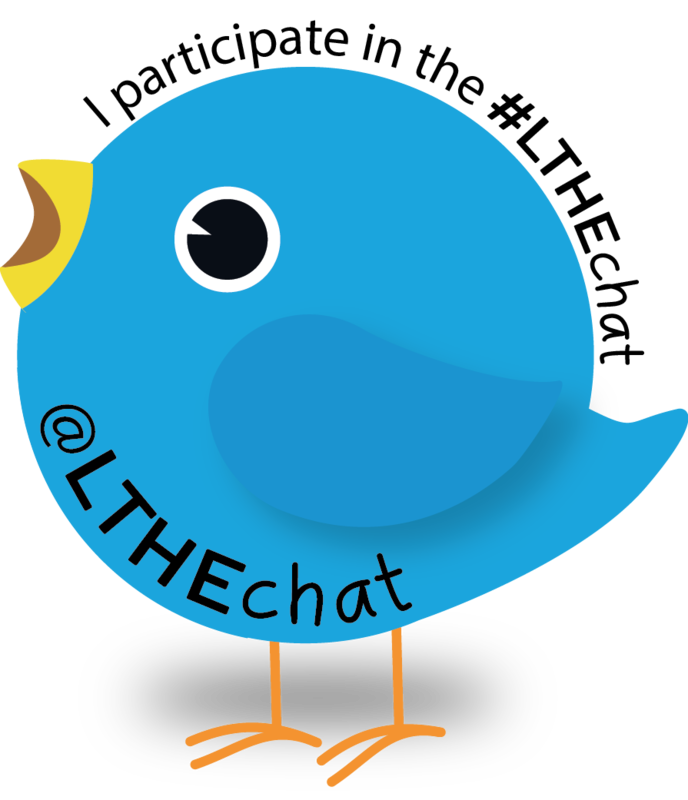 With no network coverage in South Gower, Twitter was a non-starter. 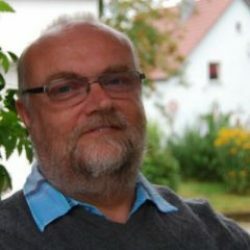 Even though I recorded a couple of AudioBoo tracks, I wasn’t able to post the last one until the next day when the phone was recharged and I was back home on WiFi. So in future, I’ll have to rely on the built-in camera and audio recorder and upload reports after the event. Luckily, my camera has a decent clock and I was able to get the timings from the pictures that I took with it. I had to reconstruct the location information from the OS map. I have published the complete set of photos on both Facebook and Flickr. Renate and I are still taking sponsorship and you’ll find the appeal page on-line at Just Giving. Thanks to all who have already contributed.